What else would a geezer skier do on an April Saturday morning but go to a local Plow Day sponsored by the East Homer United Methodist Church? Held at East Homer, NY this was not a typical display of the latest tillage tools. 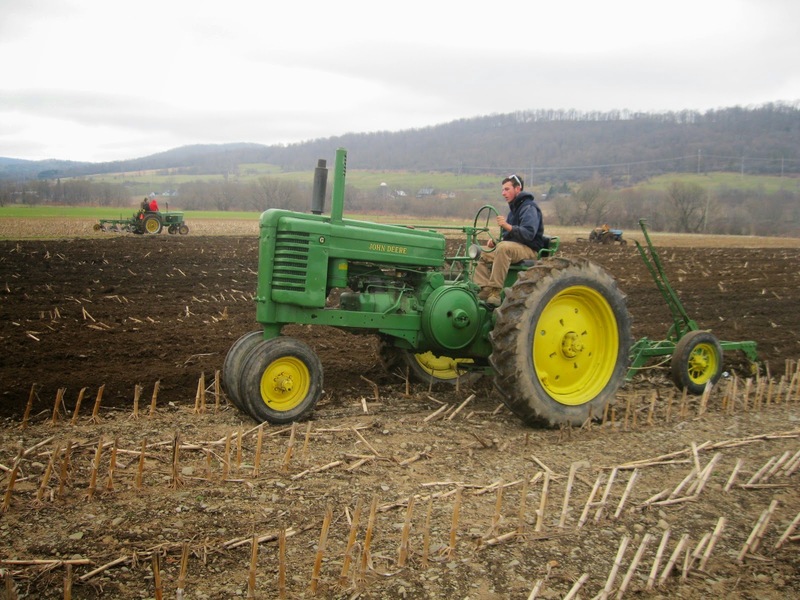 Rather it was a revival of vintage plows and tractors perambulating up and down the field driven by the proud owners of restored and/or original older tractors. Although the day was grey and cold by normal spring standards, everyone was enjoying the performance. Several makes of tractors were on display although the International and John Deere brands dominated. The unique sound of the two cylinder John Deere's brought back fond childhood and teenage memories of my days on the farm with my parents and brother. 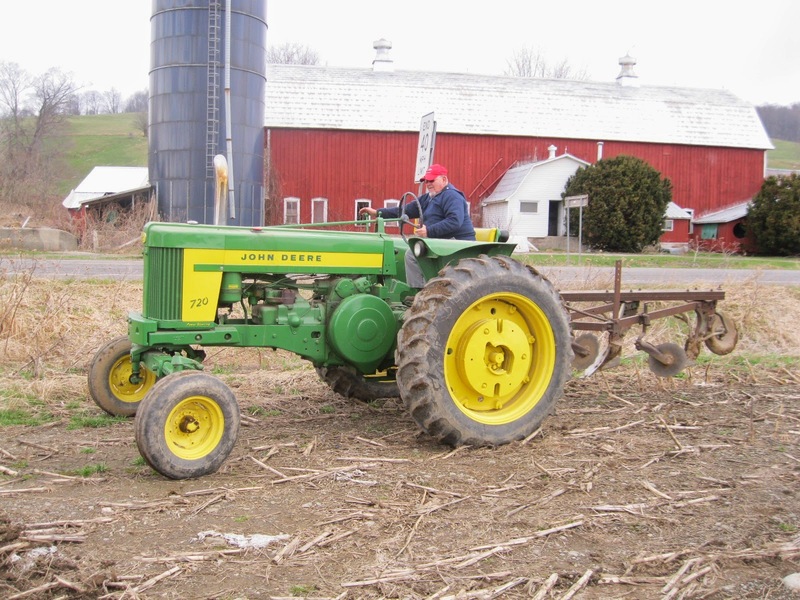 We bought a John Deere B just before WWII. 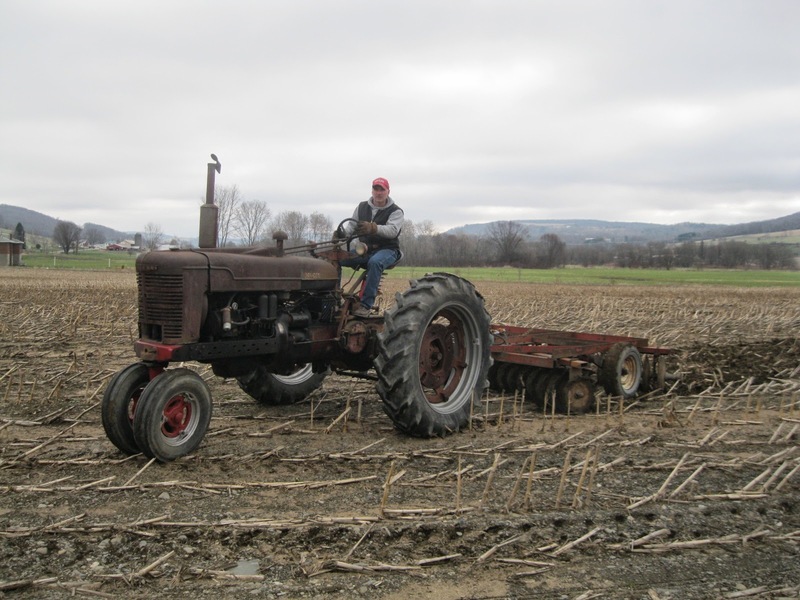 It was the first "modern" tractor we had on our farm following a steel wheeled Fordson of 1930's vintage. 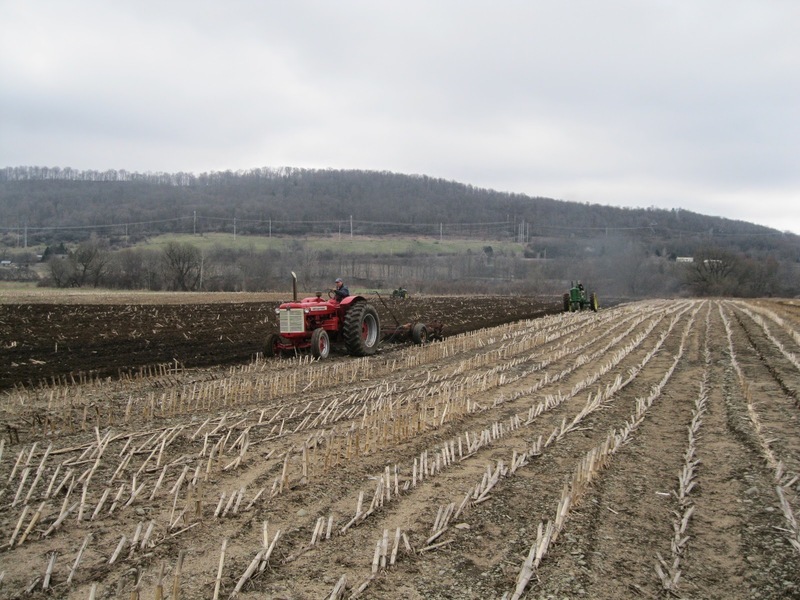 I learned to operate that tractor and plowed with a trailing two bottom plow. 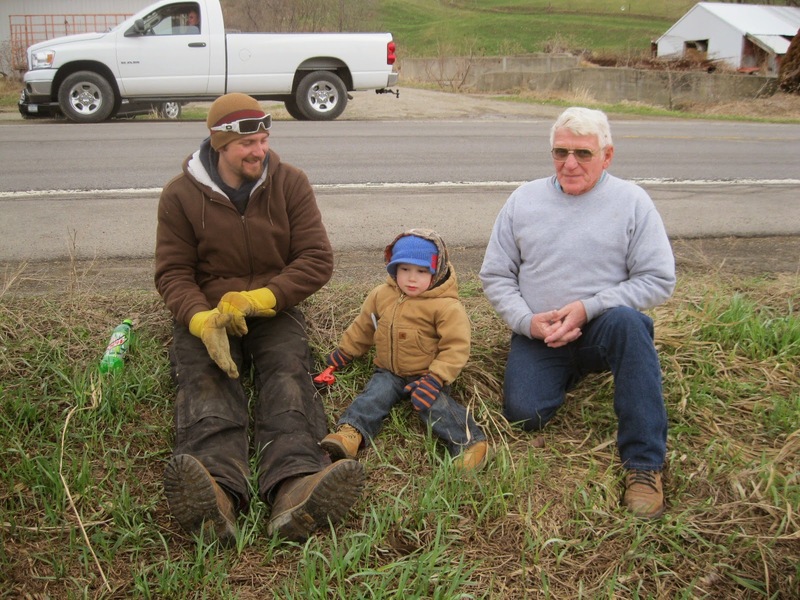 It was a pleasure to see several generations of farmers represented at the plow day. All of them seemed to enjoy observing first hand a part of our agricultural heritage. These are durable machines built to last. A bit of Americana being preserved for future generations. 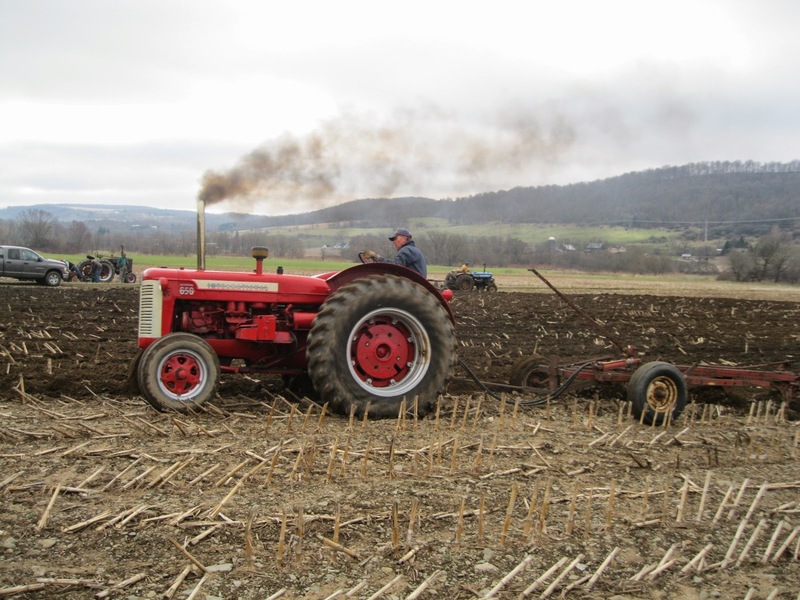 For anyone wanting to observe vintage tractors, you can visit the Living History Museum of Central New York in Homer, New York. 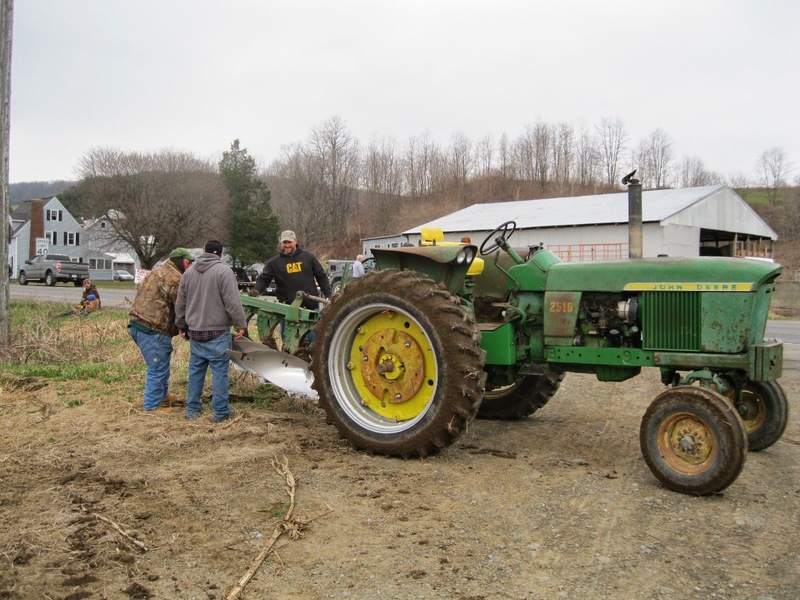 Over 20 tractors are on display and the display changes yearly to exhibit the entire range of restored vintage tractors. Meanwhile, back at the plow day a barbecue, pancake breakfast, bake sale and craft display were a part of the festivities. The church hopes to raise enough funds to support a softball field in the community. A visit to the bake sale netted a fresh homemade blueberry muffin and to the delight of my wife, a coconut macaroon pie that was an epitome of the culinary arts. Three Generations -Another Farmer to Be? So there we are, tough old geezers hobnobbing with tough old geezer tractors. Still chugging along. Plow on everyone! I belong to a farmer's family and I have some amazing knowledge about tractors. I found this post quite informative and I look forward for more posts like this in future.